The use of supplements for schizophrenia is aimed to use some resources to improve the state of mind, or decrease the symptoms that accompany this disease. The use of these supplements can be an aid to conventional therapy, given the significance of the performance of this treatment, requires approval by the specialist. Vitamins of group B : Vitamin B helps to improve the mental state of these patients and counter the negative effects of drugs used in treating the disease. The usual dose is usually two 50 mg capsules daily with 200 mcg of folic acid in meals. Vitamin C: Vitamin C seems to have a positive influence on the treatment of Alzheimer’s or other dementias. Its antioxidant properties help prevent the negative influence of free radicals in neurons. The usual dose is usually about 1000 mg daily. The intake of essential fatty acids Omega 3 can help to maintain mental balance and improve depression or or help with illnesses such as schizophrenia. 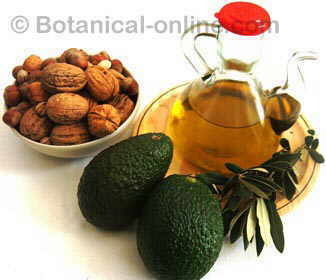 They are a way of eating omega-3 fatty acids for people who do not take it from plant sources or do not eat enough fish. Taken in the form of capsules containing fish oil or supplements in capsules, powder or linseed oil. According to studies, 25% of patients improved with the ingestion of fish oil supplements. Ginseng: (Panax ginseng) helps to combat some symptoms of schizophrenia to increase production of endorphins that have a positive effect on the mind of the schizophrenic.